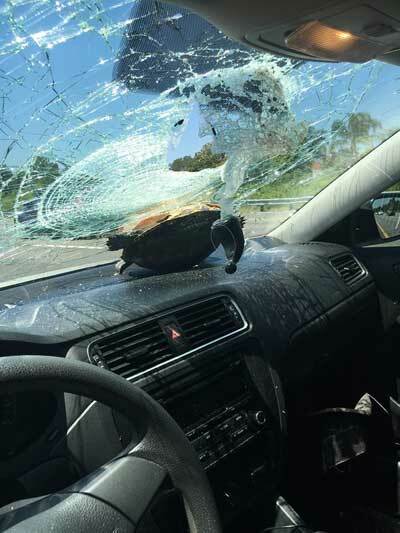 A woman was surprised when a turtle crashed through her windshield on a Florida highway. 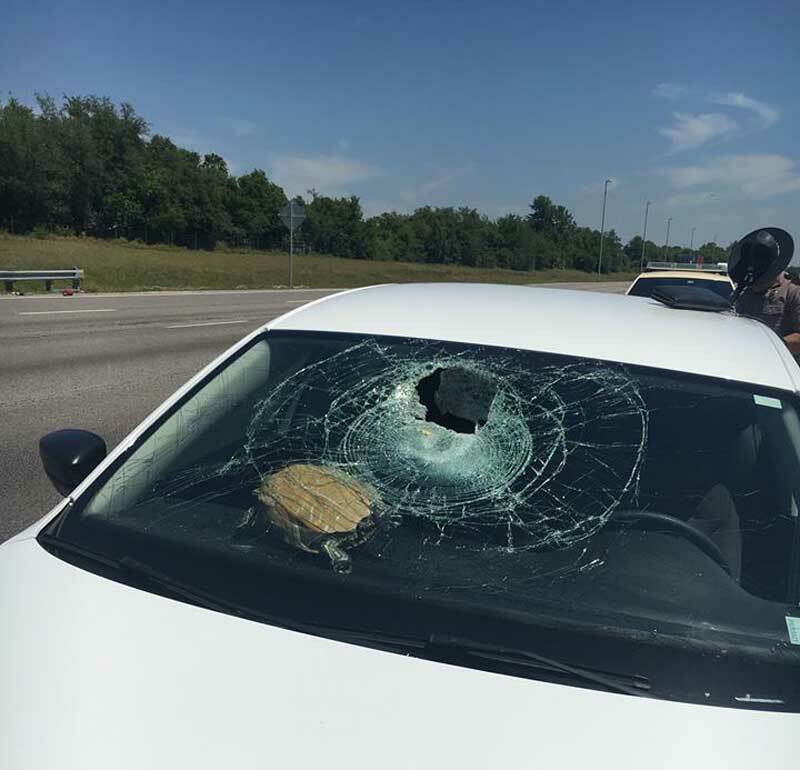 The turtle was propelled through the air on I-4 in Deltona and crashed into Nicole Marie Bjanes' windshield as she was driving at about 75 miles an hour on Monday afternoon. Bjanes said she saw the debris in the road, but did not realize it was actually a turtle. The reptile came flying through her windshield, bounced off the passenger seat, and then landed on her dashboard. She was treated at the scene for minor cuts by EMS. According to FHP Sgt. Kim Montes, the turtle was placed in a pond adjacent to the interstate and swam away unharmed. The car's windshield has since been fixed as well.